There are lots of “mainstream” guides to pregnancy and birth. From the “What to Expect When You Expect Everything to Go Wrong,” series to the beloved, “Girlfriend's Guide to Bad Advice You Could Get at a Baby Shower,” the bookshelves are full of mediocre, fear mongering, prepare for your cesarean, fluff. But entering from stage left, something a little bit refreshing- “Natural Birth For The Mainstream Mama” by Lauren Rauseo is a new kind of “mainstream” birth book. Full of basic, solid advice on achieving a natural hospital birth without the woo present in many other birth books more directed to the home birth crowd, this is a volume that a regular gal just considering natural birth wouldn’t be afraid to pick up. Lauren’s style tends towards the sarcastic, which makes a subject that can be sensitive for many (natural birth) seem a lot more approachable and normal for your average gal. 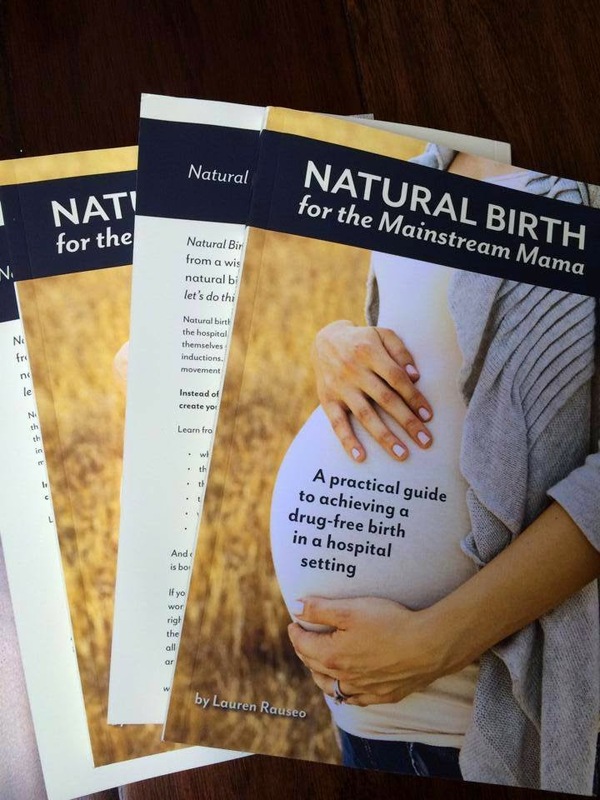 (There is a possibility that we are long lost sisters since I have been called the most sarcastic person ever...) The information in "Natural Birth For The Mainstream Mama" is solid and covers the basics needed to start on your journey towards a natural birth. She hammers home the most important points in a way any birth teacher would appreciate. Lauren presents things in a manner that is easy to understand, amusing, and incredibly concise. Each chapter ends with some bullet points letting you know what you most needed to glean from it. Lauren ends the book with her own birth stories, which I think is a nice touch. Her birth stories aren’t necessarily “ideal”. By that I mean that she doesn’t have a textbook, perfect, natural birth. But she does achieve pain-medication free hospital births even against some pretty stacked odds. This is a powerful reminder of much of what she has taught: that preparation and education for your natural hospital birth are not just nice, they are absolutely necessary. No matter how much you try things don’t always line up like you dream, but that doesn’t mean you can’t have a great unmedicated birth in the hospital. And frankly, I love personal touches. Evidence is a fabulous thing, but we learn so much from the experiences of others and it helps us know that we too can accomplish hard things even if everything isn't perfect or as we planned. Women will remember her birth stories and they will give them strength for their own births. 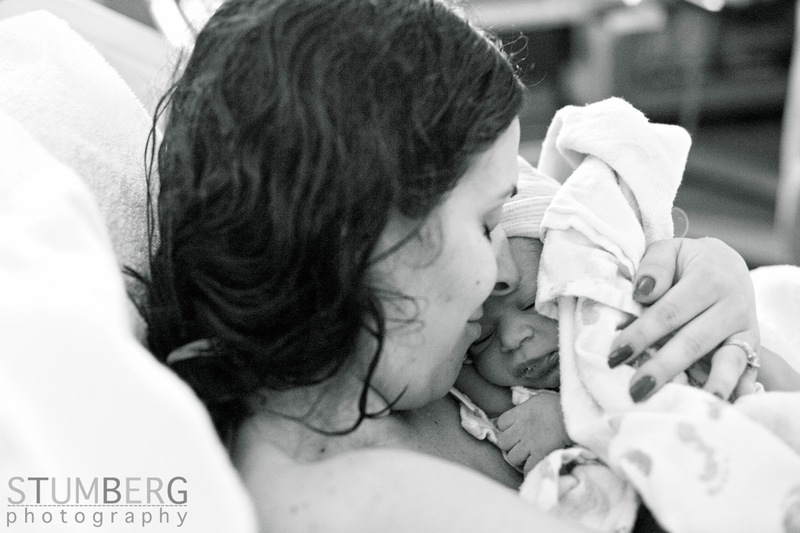 If you know you want a home birth, then you may be happier with something a little more crunchy since Lauren definitely seems to feel more comfortable with hospital birth. But, you know what, that is what the vast majority of women feel comfortable with! And I for one am glad that hospital birthing women now have a great resource at their fingertips with some good info that can realistically help them achieve a fabulous and natural hospital birth. This book would frankly make a great gift too. It isn't too pricey and it is so easy to read without ever being confrontational or too "out there" that you could hand a copy to a relative or friend without fear of offending them. And what a great conversation starter at a baby shower?! PS- Lauren DOES mention this blog AND Birth Boot Camp in her book so that is pretty special to me. WOOHOO! BUY THIS BOOK! Maybe for a friend! Seriously, they would like it! I LOVE LOVE this book! I am 6 months in to my first pregnancy and I want a natural childbirth so badly. I can't have a home birth and my biggest fear is that I won't be able to have the birth naturally in the hospital. This book is so wonderful and has such great advice to help make your dream birth more possible.